There is the urgent need for the Government to set up an independent commission under the National Development Planning Commission [NDPC], solely responsible for achieving the Sustainable Development Goals (SDGs). 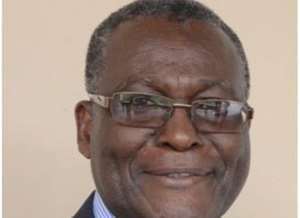 Professor Harold Amonoo-Kuofi, the Former Provost of the College of Health and Allied Sciences, University of Cape Coast, said that commission must have a strong representation from the Ministry of Health. He said the commission would play the lead role in supporting government and other allied agencies in setting the national SDG targets, implement and ensure strict monitoring of progress of work while the NDPC concentrated on its broader functions. Prof Amonoo-Kuofi, who made the call at the 2017 Annual Central Regional Health Sector Performance Review Meeting in Cape Coast on Tuesday, said national coordination of SDGs needed focused attention as it could not be lumped together with other developmental issues. The two-day programme, on the theme: “Achieving the Health Sustainable Development Goals (SDGs) through Effective Stakeholder Engagement,” was attended by health professionals and students, metropolitan municipal and district chief executives (MMDCEs) and the media. Prof Amonoo-Kuofi said the absence of national health insurance cover for routine screening services was worrying. He explained that the SDGs had specified 17 universal goals, 169 targets, 230 indicators with nine out of the 17 goals, precisely goals one, two, three, five, six, seven, eight, eleven and sixteen being directly or indirectly related to health. He, therefore, said it was incumbent upon Ghana to pay heed to the United Nations (UN) recommendations to countries to set up national councils and bodies for achieving the SDGs. In addition to that, it would enhance effective stakeholder engagement with community leaders, traditional leaders, schools, teachers and religious organisations to build on local knowledge and techniques to improve local ownership and bottom up involvement in development planning. “That way, they would help address negative cultural practices and other 'soft' development issues that required the involvement of community leaders and social workers,” he said. Prof Amonoo-Kuofi said prioritising the achievement of the SDG's was an investment in the future of the youth and children, which would be an enabler to significantly reduce inequalities, extreme poverty, tackle climate change and reverse environmental degradation and the unsustainable use of environmental resources. He said individuals must have a purpose that would enable them to contribute positively towards enhancing the basic human rights and dignity of members of their societies while proactively seeking innovative business models that addressed their current challenges. Achieving the SDGs is everybody's business and the private sector had a central role to play in achieving the goals as it presented significant opportunities for business entities. He said just as governments were being urged to align their national development plans with SDGs, businesses must also align their corporate goals with the SDGs to maximise coherence with the national efforts at attaining the goals. Touching on data, Prof. Amonoo-Kuofi said the Ghana Statistical Service (GSS) must endeavour to deepen analysis on what data would be required for monitoring the SDGs and achieving the targets. A complete assessment needed to be undertaken of the administrative sources of data envisaged in the Ghana Statistical Development Plan for generating the required statistics from the most relevant sources for the SDGs indicators. Dr Alexis Nang-Beifubah, the Regional Director of the Ghana Health Service (GHS), paid glowing tribute to all stakeholders, particularly donor partners and Non-Governmental Organisations, for providing healthcare logistics and financial support towards achieving the SDGs. He expressed the GHS's readiness to work with them to expand geographical access to healthcare with emphasis on ending preventable child and maternal deaths, reducing unmet needs for family planning services, and improving nutritional status of pregnant women and children under five years. “I wish to appeal to other development partners to come to our aid as we transition into Ghana Beyond Aid,” he said. The post 'Ghana needs special SDGs commission to achieve targets' appeared first on Ghana News .